Sin City is the ultimate escape from the humdrum of everyday life! The true city that never sleeps has casinos that operate around the clock and nightlife that keeps going until dawn. From the ultra-lounge haunts of the rich and famous to rooftop bars, pool clubs, and of course, that famous strip of casinos, Las Vegas draws in visitors from around the world. Las Vegas is the kind of destination you can visit at any time of the year, even at Christmas casinos never shut their doors. 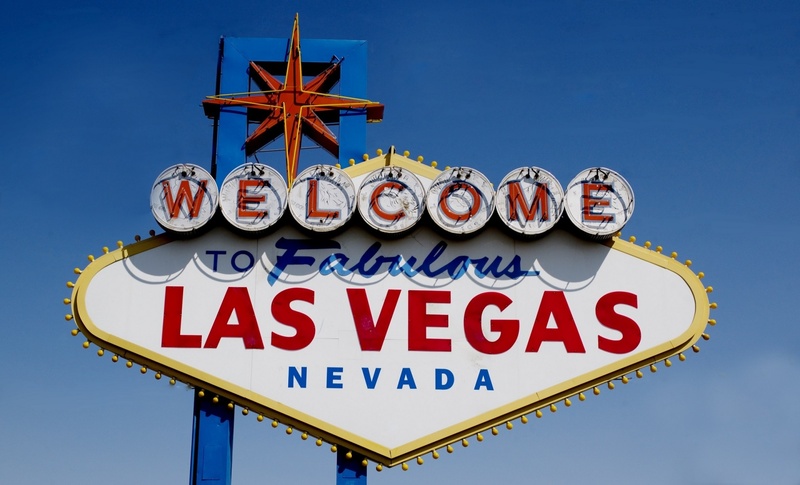 Summers are typically humid and Sin City is no exception, so if it’s the sun you’re craving, the most temperate months to visit are during spring and autumn. Spending a New Year’s Eve in Las Vegas is a dream shared by millions, but it can get incredibly busy during that period and hotels and flight prices can increase significantly, so plan your trip well in advance. As for dress codes, anything goes on the streets of Las Vegas! Pack casual summer wears for day trips but don’t forget something more elegant if you plan to visit a casino. If it’s your first time traveling in the US you’ll want to be aware of legal age limits. The legal age for drinking alcohol and participating in casino activities in Nevada is 21 and you will need to carry a photo ID with you when you do so. There is a strict age limit of 21 for entering casinos, too. Also, if you want to smoke or purchase tobacco you need to be at least 18 years old, and again you will be asked for photo ID to prove your age. Most shopping malls, restaurants, cinemas, and bars that serve food prohibit smoking so it’s always better to ask first if smoking is allowed. On the accommodation front, you’ll be spoiled with choices! If luxury is your thing then you’ll want to check into the Mandarin Oriental, a sumptuous, five-star complex with three restaurants, two outdoor pools, and a spa; during off-peak season prices start at around £186 (or $281 USD) per night. The MGM Grand offers the ultimate Vegas experience with a 6-acre pool area, nightclubs, and famous restaurants, and it’s a much more affordable option with rooms starting at £57 (or $74 USD) per night. Amongst the sprawling resorts, you’ll also find the Treasure Island Hotel and Casino, which is a great place to stay if you’re travelling with a large party. Originally a pirate-themed casino, the rooms (which start at £34 or $44 USD per night) have been given a chic makeover, making it ideal for hen parties and girly getaways. A trip to Vegas wouldn’t be a trip to Vegas without at least one visit to a casino! Knowing the difference between American versus European rules of play will ensure you feel comfortable at the roulette tables of Caesars Palace or the Bellagio. The big casinos have boutique stores that can provider higher priced items, but in the Forum Shops at Caesars and the Miracle Mile Shops at Planet Hollywood, you’ll find a varied selection of reasonably priced shops. Herbs and Rye, the Mandarin Bar at the Oriental, the Vesper Bar at the Cosmopolitan, and the Velveteen Rabbit are some of the best watering holes in town, and the newly-opened The Kitchen at Atomic is a top choice for food. The fountains outside the Bellagio are a top attraction, but if you fancy getting away from it all to take advantage of the location, spend a couple of days trekking to the nearby Grand Canyon and its stunning national park. For a day trip, the Red Rock Canyon is picturesque and only a 30 minute drive away west of the strip. There is so much to do in Las Vegas that this survival guide only scratches the surface. I’d encourage you to go and visit the city and experience it for yourselves. Once you see it for yourself, you’ll likely visit it again and again!